Open access colonoscopy (OAC) has gained widespread acceptance and has the potential to increase colorectal cancer (CRC) screening. However, there is little data evaluating its appropriateness for CRC prevention. The aim of this study is to evaluate the appropriateness of OAC in CRC screening and polyp surveillance by comparing to procedures ordered by gastroenterologists (NOAC). As secondary outcomes, we compared the quality of bowel preparation and adenoma detection rate (ADR) between OAC and NOAC. It is retrospective single-center study. Inclusion criteria included patients > 50 years of age undergoing a colonoscopy for CRC screening and surveillance. Appropriateness was defined as those colonoscopies performed within 12 months of the recommended 2012 consensus guidelines. Secondary outcomes included the quality of bowel preparation and ADR. 5211 colonoscopies met inclusion criteria, and 64.9% were OAC. Screening OAC was appropriately 91.6% and NOAC 92.9% of the time (p = 0.179). Surveillance NOAC were inappropriate in 26.4% of cases, and surveillance OAC was 32.6% (p = 0.008). Multivariate analysis demonstrated that OAC did not influence ADR (OR for NOAC 0.97; 95% CI 0.86–1.1; p = 0.644) or an adequate bowel preparation (OR for NOAC 1.11; 95% CI 0.91–1.36; p = 0.306). OAC performed similarly to NOAC for screening indications, quality of bowel preparation, and ADR. However, more surveillance procedures were inappropriate in the OAC group although both groups had a high number of inappropriate indications. Although OAC can be efficiently performed for screening indications, measures to decrease inappropriate surveillance colonoscopies are needed. 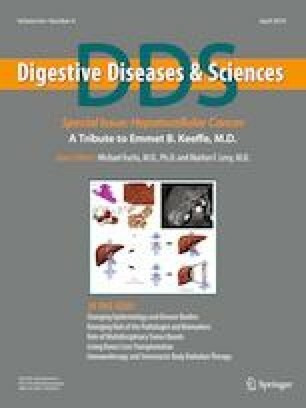 This work was presented as a poster presentation at Digestive Disease Week (DDW) 2018. Dr. Molly Moor, Meaghan McMahon, Dr. Hong Liang. Center for Diseases Control and Prevention. Colorectal cancer screening rates remain low. CDC Newsroom. https://www.cdc.gov/media/releases/2013/p1105-colorectal-cancer-screening.html. Accessed 15 May 2018. Anklesaria, Ava B, Chudy-Onwugaje KO, et al. The effect of obesity on the quality of bowel preparation for colonoscopy: results from a large observational study. J Clin Gastroenterol 2018. (Epub ahead of print). https://doi.org/10.1097/mcg.0000000000001045.